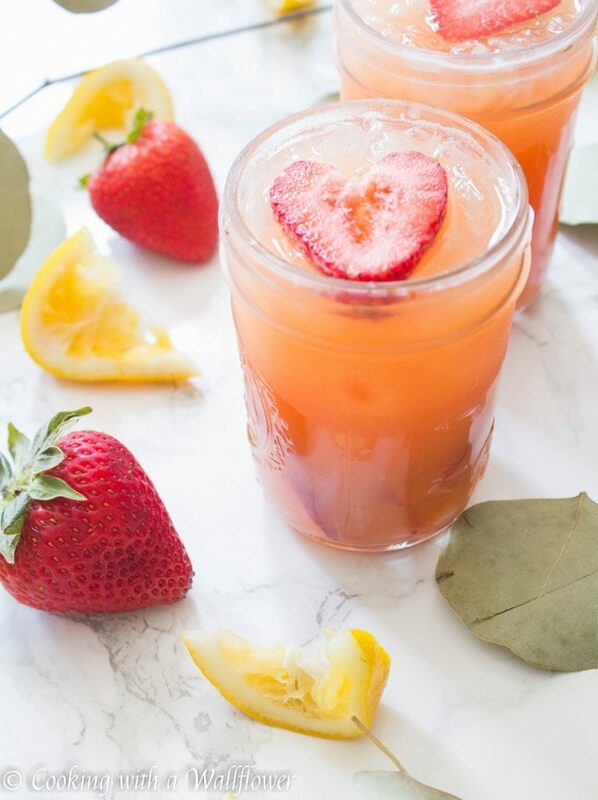 Fresh orange juice and lemonade sweetened with strawberry simple syrup. 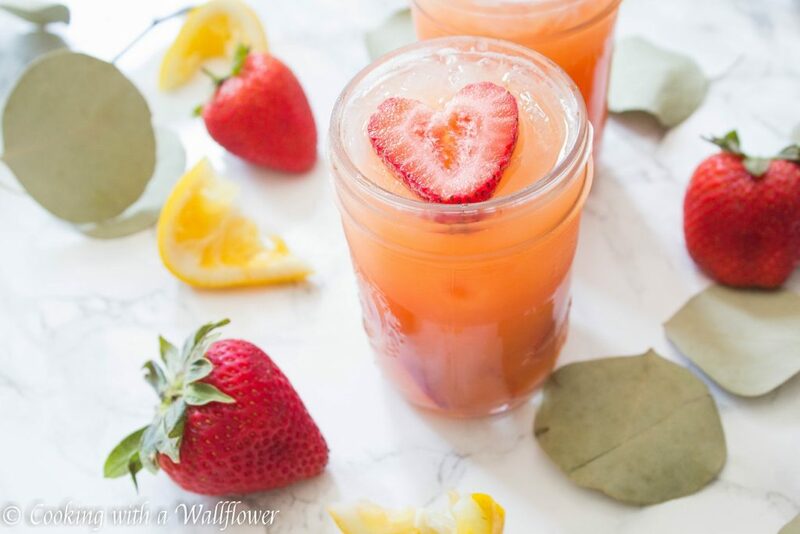 This strawberry orange lemonade is refreshing for a warm summer day. It’s finally June, which means summer is almost here! And it starting to feel like it too. It’s been so long since I’ve had a Saturday free to explore the Ferry Building Farmer’s Market, and I finally got to go yesterday. It’s been so warm, even before noon, which is a good indication that summer is just around the corner. Strawberries are now available in abundance and the peaches and nectarines are just starting to make an appearance. And I’m sooo excited. Stone fruit and berry season are my favorites! Just a few more weeks and they’ll be perfect. In the mean time, we have to talk about this strawberry orange lemonade. Two months ago, when I was in Philly, I came across this small stand at the Reading Terminal Market that sold freshly pressed juice in a wide range of flavors. My absolute favorite was the strawberry orange lemonade. You have no idea how many bottles I bought in the short time I was there. And I knew that once I got home, I needed to make my own version. I love the combination of sweet strawberries, citrusy orange, and tart lemons. Together, they make such a refreshing drink and just perfect for cooling down on a hot summer day. 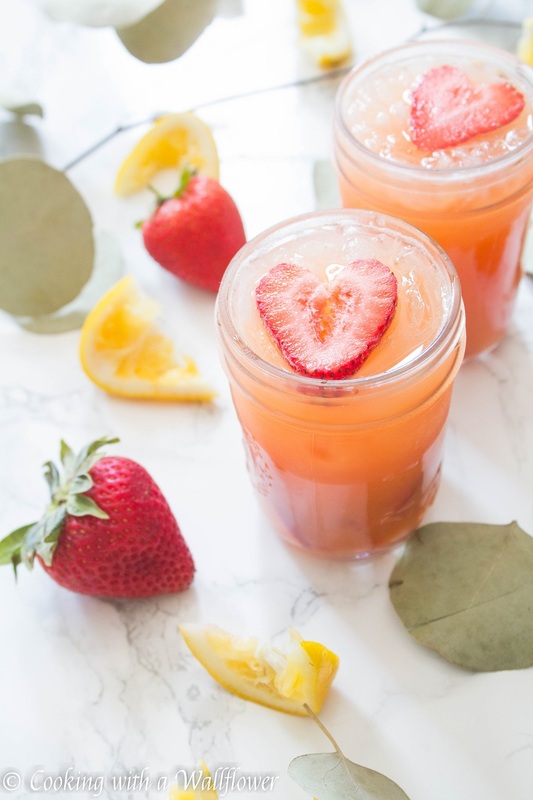 To make this strawberry orange lemonade, place strawberries, granulated sugar, and water into a small pot over low to medium heat. 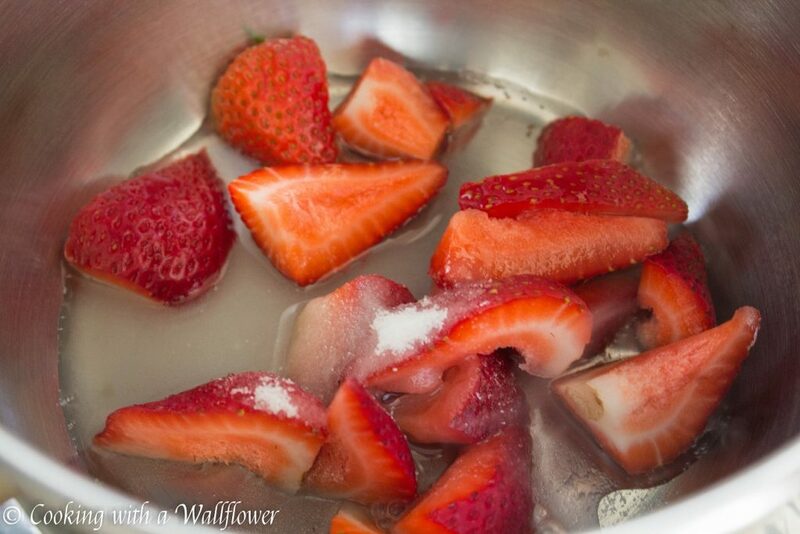 Let the strawberries simmer for a few minutes until the strawberries have softened and the water has thickened. Allow it to cool for several minutes. In a large mason jar, add orange juice and the juice from two lemons. Add the strawberry simple syrup. Mix until combined. 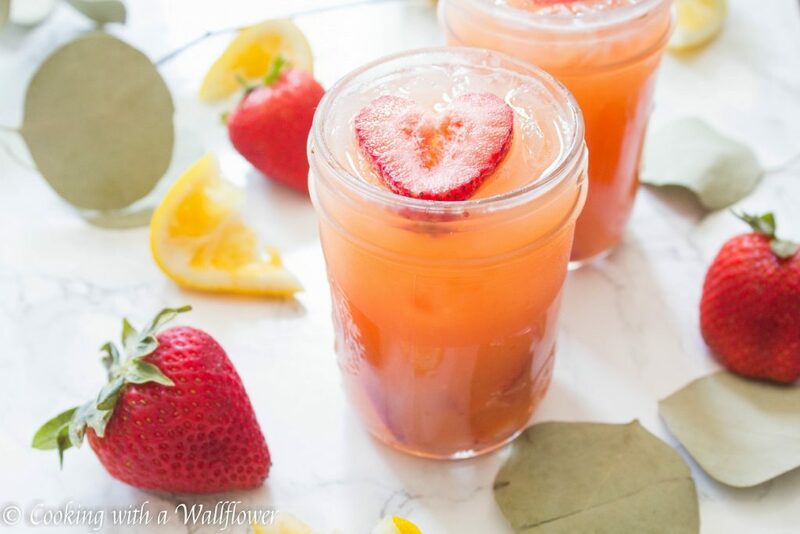 Divide the strawberry orange lemonade into two small mason jars or glasses. Top with crushed ice and sliced strawberries. 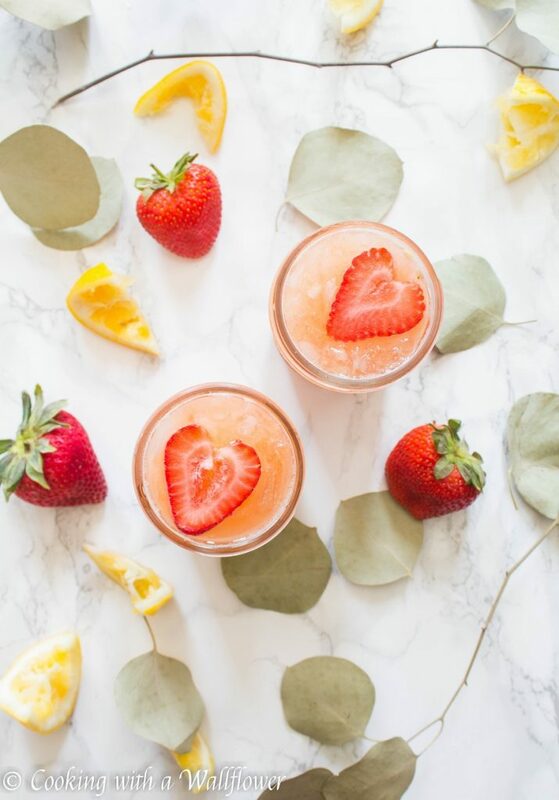 This entry was posted in Beverages, Gluten Free, Lemonade/Limeade, Quick and Easy, Recipes, Strawberries, Summer Cravings, Vegan, Vegetarian and tagged beverage, gluten free, lemonade, quick and easy, strawberries, summer drinks, vegan. Thanks for this recipe! Sounds like a sweet and sour story! I can’t wait to try it and let you know how it goes. I hope you’ll like it when you get the chance to try it! 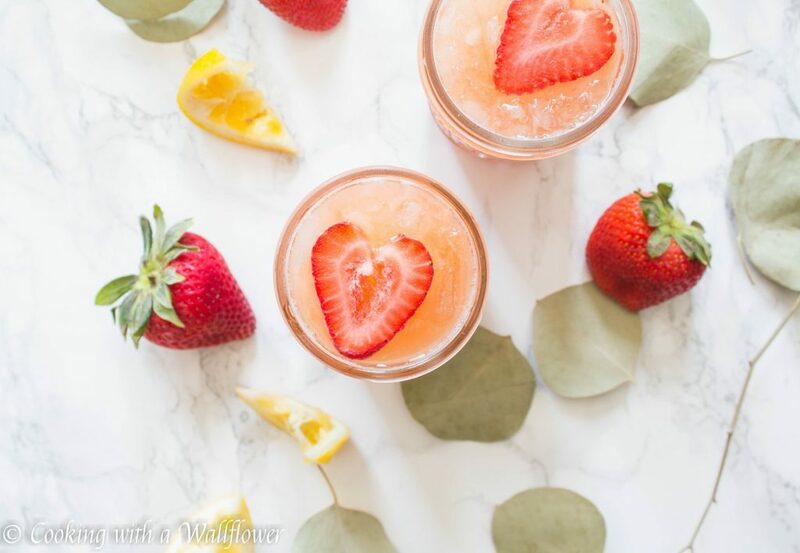 You really have to try lemonades with strawberries! 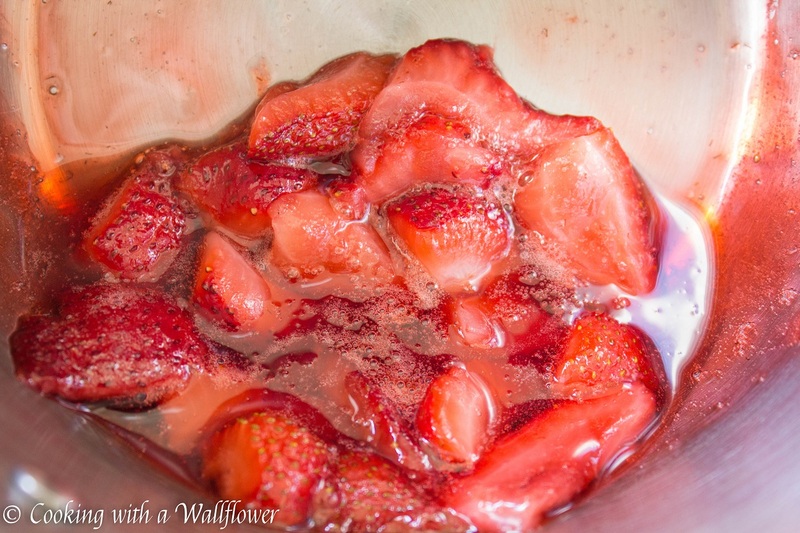 It changes the flavor because now you have the tartness of the lemonade with the sweetness of strawberries. It’s one of my favorite summer beverages! Summer for you, “Winter” for us here in Kerala, i.e. the Monsoon season is here with a vengeance, meaning colds, fever etc. everywhere. So – I certainly keep your delicious recipe for later in the year. Oh no! Stay warm and healthy through your winter!